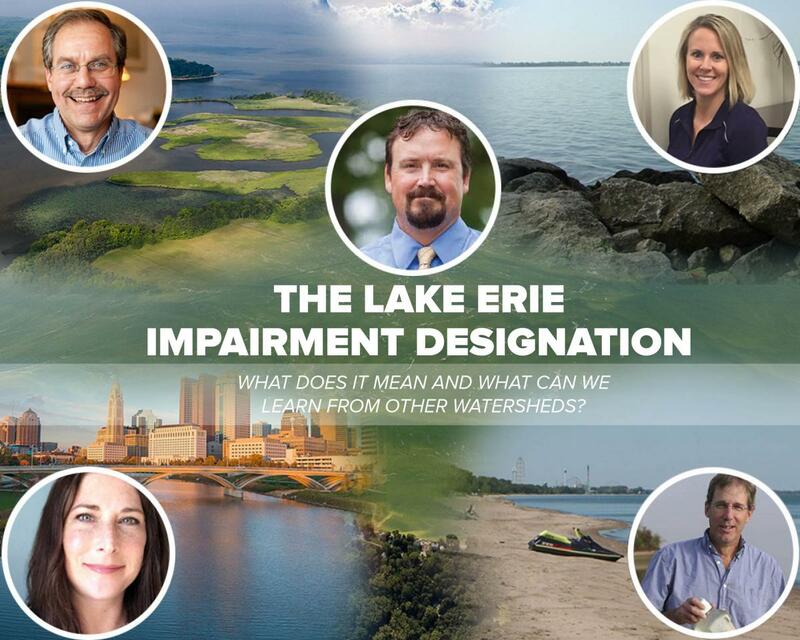 For the first time in our state’s history the open waters of western Lake Erie have been deemed impaired by the Ohio Environmental Protection Agency. In a region important to boaters, swimmers and anglers what does this designation mean? What factors are driving this impairment? What can we learn from other watersheds that have faced impairment designations and other challenges related to water pollution management? Join us for an exciting panel conversation to learn about the science-based approach used by two of our state’s leading universities to help the Ohio EPA assess whether the open waters of Lake Erie met federal and state water quality goals, as well as key lessons learned from water quality management in the Chesapeake Bay, Grand Lake St. Marys, and the City of Columbus. Efforts to monitor harmful blooms, keep drinking water safe, address public health concerns and engage stakeholders in the process to reduce and mitigate harmful algal blooms will be addressed by the panel.